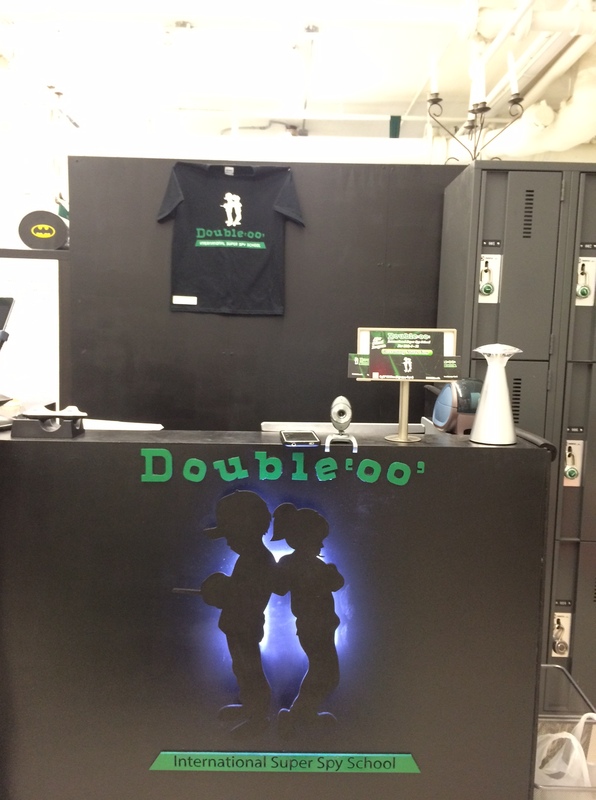 Toronto’s First Spy School for kids – Double ‘OO’ | Kids in T.O. Every kid goes through a spy phase. And only a few grow out of it. Like most parents, I love to fuel my kids’ (healthy) obsessions. 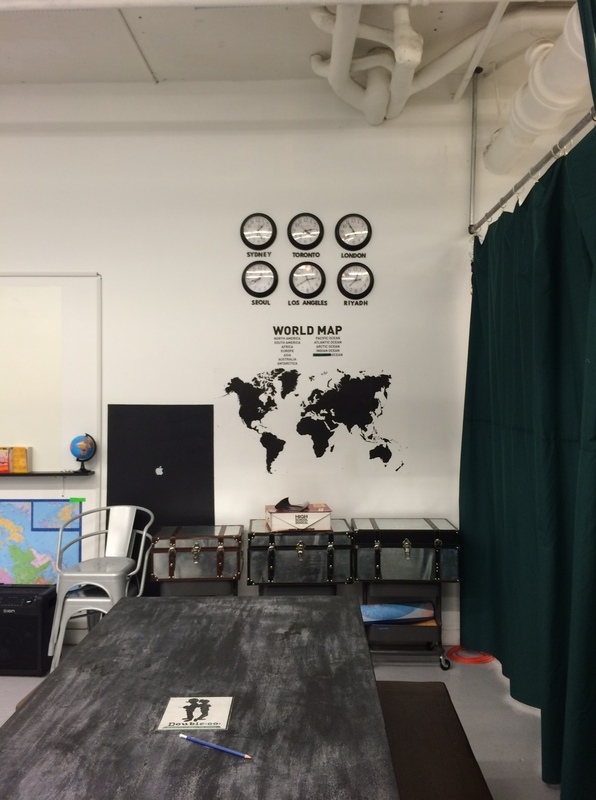 So my aspiring spy guys and I couldn’t wait to check out Double ‘OO’ International Super Spy School – Toronto’s first spy school for kids. Shortly after its opening earlier this fall, Owner Joe Tambasco and dad of Oliver and Oscar (the inspiration behind ‘OO’) walked us through his Carlaw-Dundas headquarters in Leslieville. The lower level space has a serious secret agent vibe – special theme music, photos of villains posted on the walls, creative gadgets and an area loaded with undercover costumes. With five- to 12-years-olds in mind, Joe has created original hands-on missions, developed by certified Ontario College of Teachers, that explore geography, science, engineering and physical activity (there are mats in the back for learning ninja skills.) The programs always focus on safety, creativity and teamwork and are constantly being expanded and tweaked depending on kids’ ages and group size. 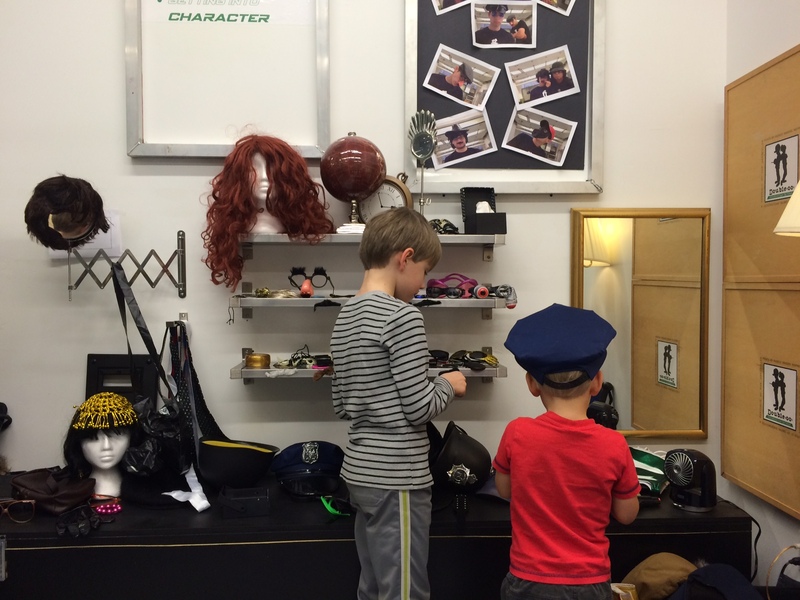 And there is a lot to choose from – three-hour drop-off weekend sessions, after school programs (walking option for local schools), PA spy days, March Break camp and super spy birthday parties. Getting there: Double ‘OO’ is located on the east side of Carlaw Ave south of Dundas Ave E. Driving, there is paid street parking along Carlaw ($2.25/hr) or some free (often one-hour) residential parking in the neighbourhood. On TTC, take the 501, 502 or 503 streetcars along Queen St. E to Carlaw Ave and walk north. The 72 Pape bus travels from Pape Subway Station south to Commissioners Street/Cherry Street. Low-down: There are five (and growing) missions for parties. The afternoon and camp days are always changing. Here are the upcoming options – but be sure to call to inquire about your needs. In the hood: Sprouts, a super indoor play space for littler kids is located just south along Carlaw. For outdoor play, Hideaway Park, Orchard Park and Greenwood Park are in the neighbourhood. On weekends and holidays, there is amazing exploring in Tommy Thompson Park.